Something is eating the tips off my peppers. I still harvest the half eaten peppers, because they have valuable seeds. 2 or 3 of those tiny seeds can grow into a 6 foot plant. So I dry what remains, and collect as many seeds from the pod as I can. I don’t think hornworms are doing this (though I found at least one hornworm on my plants), and all the boonies are flowering these days. It’s been an unusually wet summer, almost semitropical in character. The peppers love it. Thing is, in Georgia, my plants have never flowered in the spring or summer, but only in the fall, until now. One of my four plants is not only flowering, it’s also growing peppers. You can see a flower about to bloom, a flower after it has bloomed, and a green pepper in this photo. They’re aren’t many on this plant, but some are better than none. I’m working hard to keep this plant watered and producing. In pots like the ones I use, in Georgia heat you have to water these every other day. 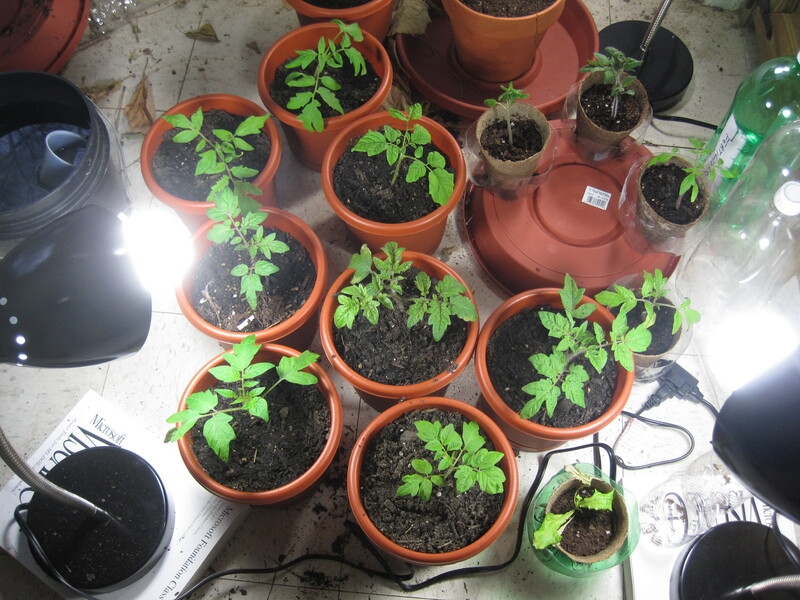 I’m not entirely used to the idea of replanting tomatoes when you grow them from seeds. The technique (here for example, or here) is so different from what I developed for boonies. With boonies, you sprout them, and there is no concern about darkness for a new days. You fertilize with an indoor strength fertilizer from the start, and keep the plants warm and in soda bottle greenhouses. By the end of the weekend, I want all my tomatoes into 6 inch pots. The new boonie peppers are getting sizable enough that I should consider replanting them at some point, try a more tomato-like technique. It’s just beginning October and the night time temperatures have dropped to below 50 degrees F. By this time every plant has flowers or the buds of flowers (even the runt boonie) and most have some kind of small fruit. I don’t know how long it will take for the weather to change to the point they have to go inside. I just have my fingers crossed we’ll have fruit we can harvest before we do. It wasn’t something I thought of much when I was on Guam. They were wild, they had been there at least since the Spanish arrived in the Marianas, they were spread.. how? A common theory is as they are pequin type peppers (e.g. 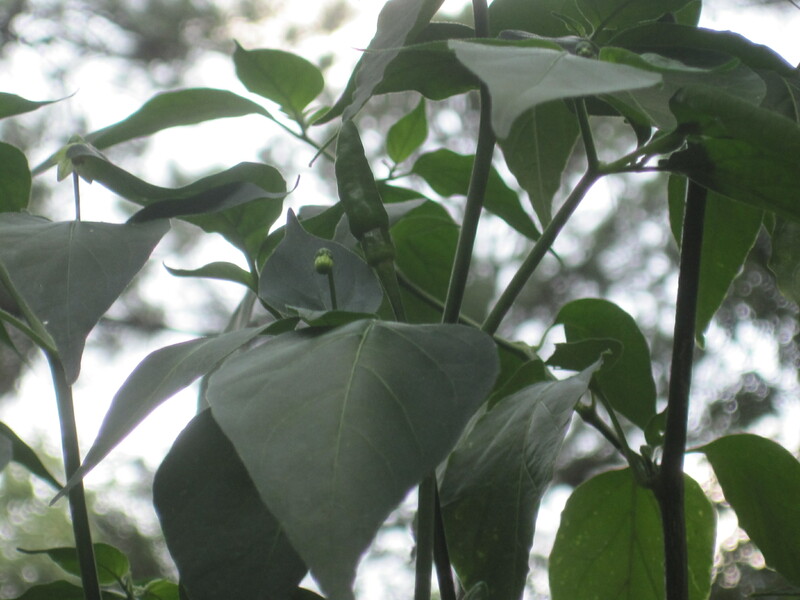 bird peppers), that birds spread them from island to island. The second is that they’re hardly the same size. While the Guam boonie reaches well over 3 feet in height, the Thai ornamental is a plant that gets to 12-18 inches high. The “boonie pepper” is definitely Capsicum frutescens. There is a lot [of] variation in types. I imagine [Food Near Snellville] is probably referring to the donne’ sali (the small one that is really pika). 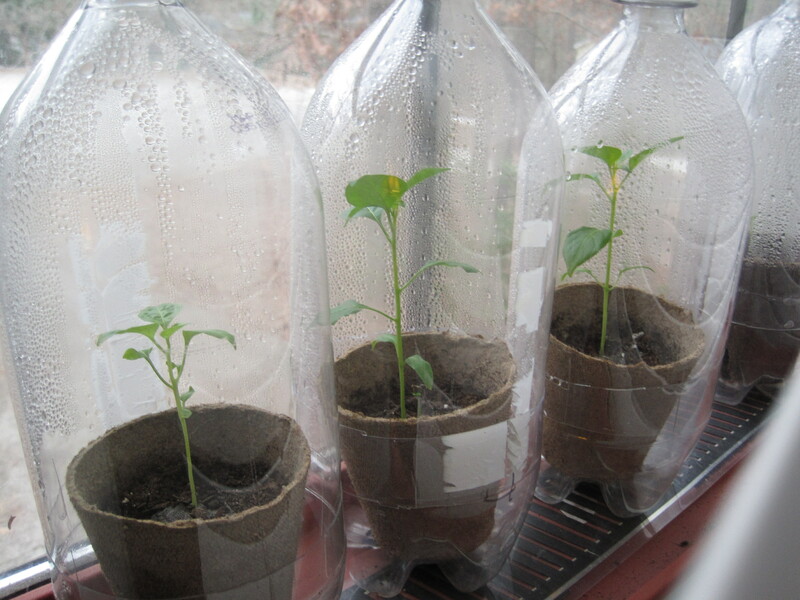 Two hot pepper plants are known in Guam. One is “donne’sali” (C. frutescens) that is characterized to have small, bright red, and very pungent fruits. The other is “donne’ ti’au” (C. annuum), a long, red and pungent pepper. “Donne’sali” has long been harvested from the wild and “donne’ ti’au” is mainly grown in the backyard garden. Selections of each were documented once as ‘Guam Super Hot’ donne’sali, (C. frutescens), and ‘Guam Regular Hot’ possibly a selection of donne’ti’au C. annuum. ‘Guam Super Hot’ is very pungent having Scoville heat unit of 4000-4250, while ‘Guam Regular Hot’ was reported to have an average of 3450 (Lee, C. T. 1987. 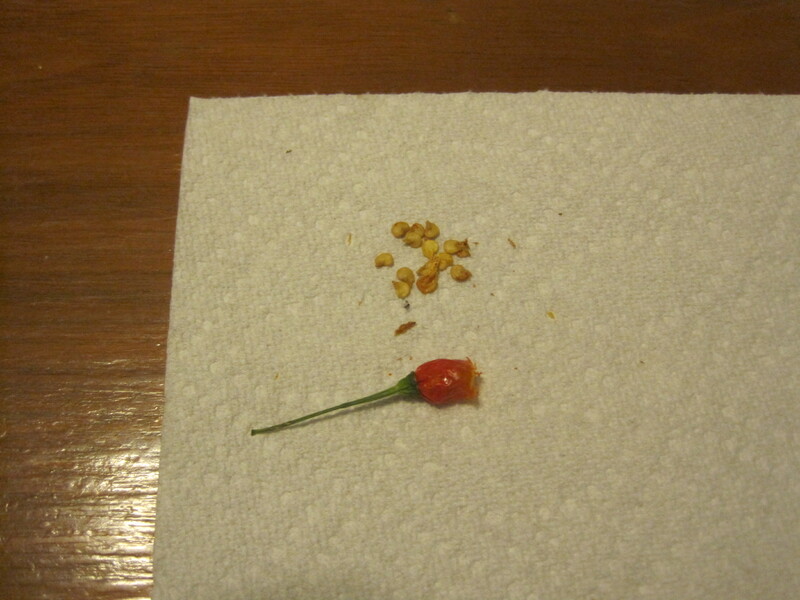 ‘Guam Super Hot’ chili pepper. HortScience 22:1341). However, unfortunately original specimens of both ‘Guam Super Hot’ and ‘Guam Regular Hot’ have been lost and we will not be able to examine them. Occasionally, some farmers sell their own selected lines and wild hot peppers (‘boonie’ peppers) to the roadside vendors and local supermarkets. Since there is a great possibility of cross pollination (often by bees), this self-pollinated plant often has a genetic variations in natural environment. 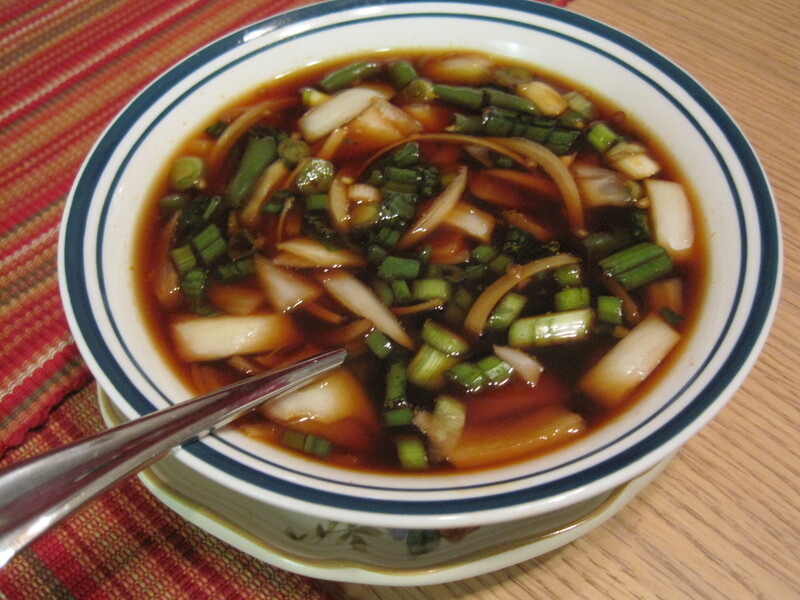 People of Guam know there are variation of Donne sali. For example, Mr. Cruz has one kind and Mrs. Santos has slightly different one, hotter or very PIKA. 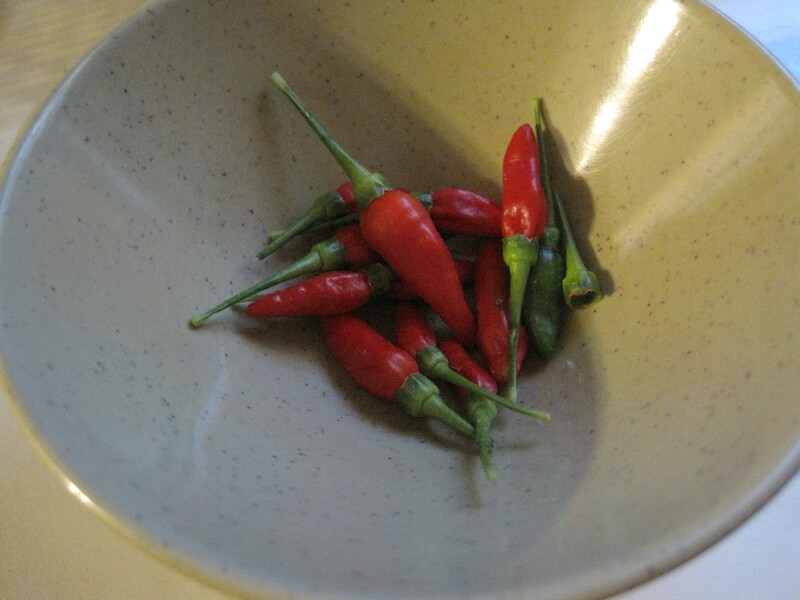 In short, the boonie is not the Thai pepper. And what you get may vary considerably, due to genetics.